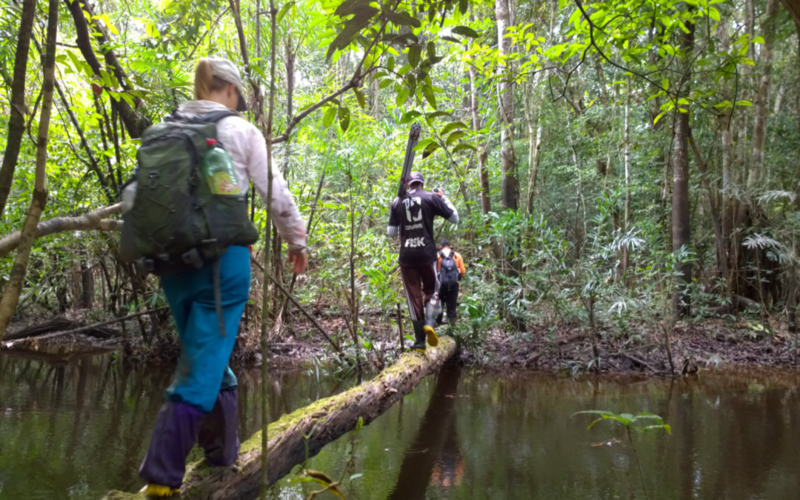 Amazonian floodplain forests and remote sensing – a travel report from a five-week research stay at the Earth Research Institute, University of California, Santa Barbara (UCSB), USA. Worldwide, wetlands are among the most threatened ecosystems. They are important sources of primary raw materials, they provide important habitats for both aquatic and terrestrial biodiversity as well as they sustain many ecological functions, and they are the homes of local people. 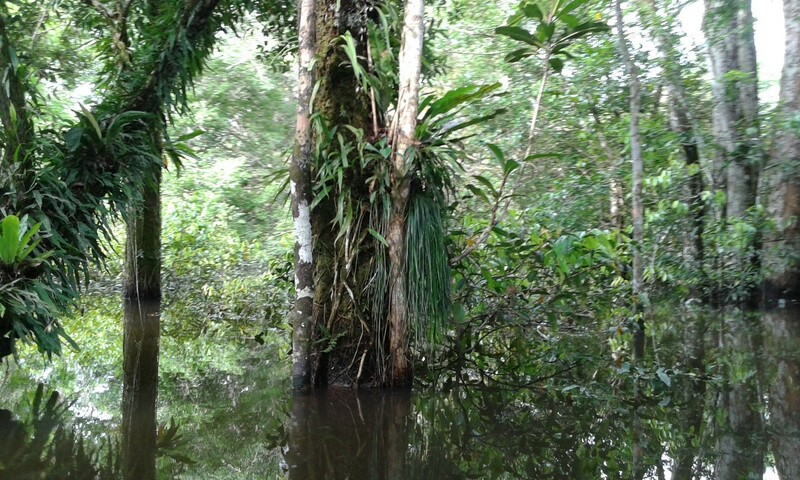 Despite the Amazonian floodplains covering as much as 600,000 km2 of the total forested area of legal Amazonia, these forests are still relatively poorly studied. For some areas, there is virtually no information about species compositions or species’ distributions at all. One such area is the Juruá, Western Amazonia, Brazil. Apart from a few botanic specimens belonging to one family only, there is no herbarium material from the Juruá even at Brazil’s National Institute for Amazonian Research (INPA). To fill this knowledge gap, I work to combine empiric field data, herbarium identifications, genetic-, and functional traits analyses with GIS data to describe and map the floodplain tree flora and edaphic organisms along the Juruá, one of the most important tributaries of the Amazon basin. These pictures from the Global Biodiversity Information Facility (GBIF.org) show that on a world basis there are more species observations recorded in Scandinavia than there are for the Amazon Rainforest. For my study area in the Juruá (red rectangle), there are almost no documented species observations at all. Because the yearly monomodal flood pulse is the single most influential factor of species persistence in the Amazonian floodplains, developing and employing exact and detailed flood maps is key for correctly describing important traits of floodplain species. Thanks to a most generous contribution from IRSAE, I was able to spend five weeks at the Earth Research Institute together with Laura Hess, one of the world’s leading experts in floodplain mapping for the Amazon region. 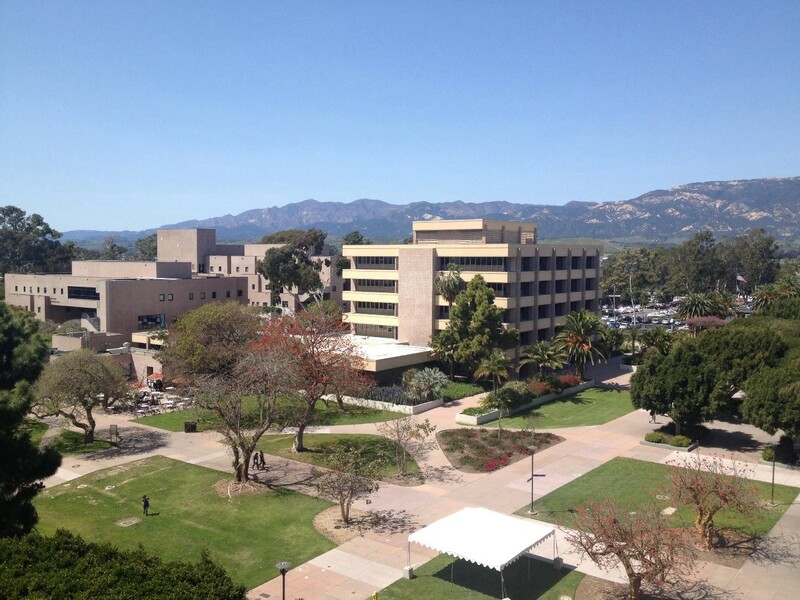 The view from the Earth Research Institute over the University of California, Santa Barbara campus (UCSB). By combining ground measurements of flood marks from individual tree stems, water station measurements, provided by Brazil’s National Water Agency (ANA), and radar imagery Laura and I are currently developing a high-resolution map over the area where I have done fieldwork in the Juruá. We are delineating georeferenced boundaries for forest types (including upland forests and flooded forests) and flooding levels in the floodplain forests to determine the flooding gradient along the Juruá River. Simultaneously, we use up-to-date high-resolution optical satellite imagery (Landsat imagery with a pixel resolution of 30*30m, videography, and Rapid Eye data with a pixel resolution of 5*5m) to create a land cover map. When finished, these maps will have a pixel resolution of 30*30m, and they will be a great improvement of the accuracy and detail of georeferenced vegetation cover and flooding levels for the Juruá. As part of classifying the vegetation cover in the Landsat imagery, we use high-resolution Rapid Eye data and videography as reference data. 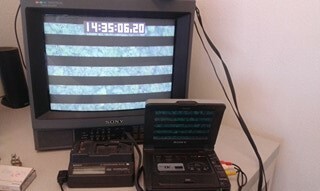 This video tape is from a flight Laura Hess made over the Juruá in 1997. Although much has changed since 1997, it is still useful to refer back to videos like this one when classifying satellite data, which has a much coarser resolution. Our Landsat imagery has a pixel resolution of 30*30 meters, which is still much finer scale than any existing map over the area up to this date. 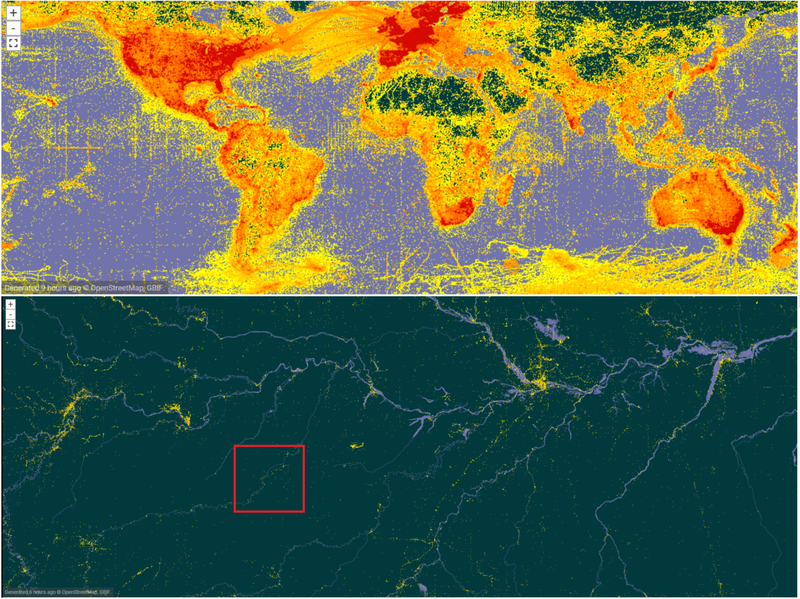 Rapid Eye data has a higher resolution (pixel size 5*5 metres) than the Landsat data that we use for developing our land cover map. Therefore, we use the Rapid Eye data to infer about the Landsat imagery while classifying land cover types. 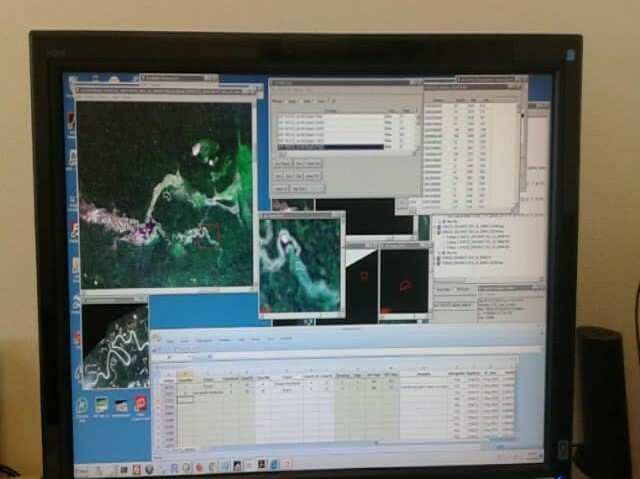 We also use Rapid Eye data to generate a set of validation data, as seen in this photo. As an initial step, we are now working on a map that will cover the forests of the municipalities of Carauarí and Itamarati, in the Western, Brazilian Amazon. 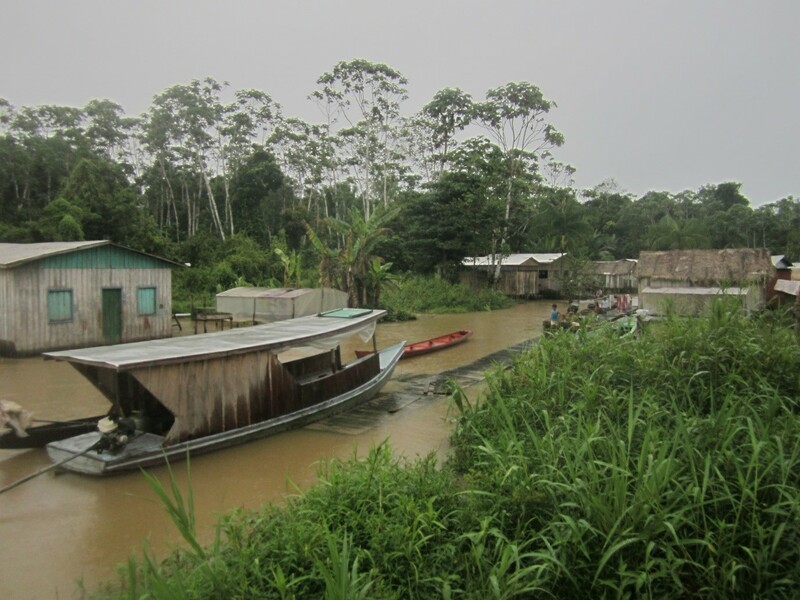 After completing the mapping of forests for these municipalities, we will explore the possibility of extending the map to cover the areas of the upper, middle and lower reaches of the Juruá River. However, extending the maps to cover these additional areas will depend on the quality of the available Landsat data. For now, we hope to have the first land cover map ready by the second week of May. Field measurements and identifications of trees has been an important part of my work towards mapping the floodplain tree flora along the Juruá River. 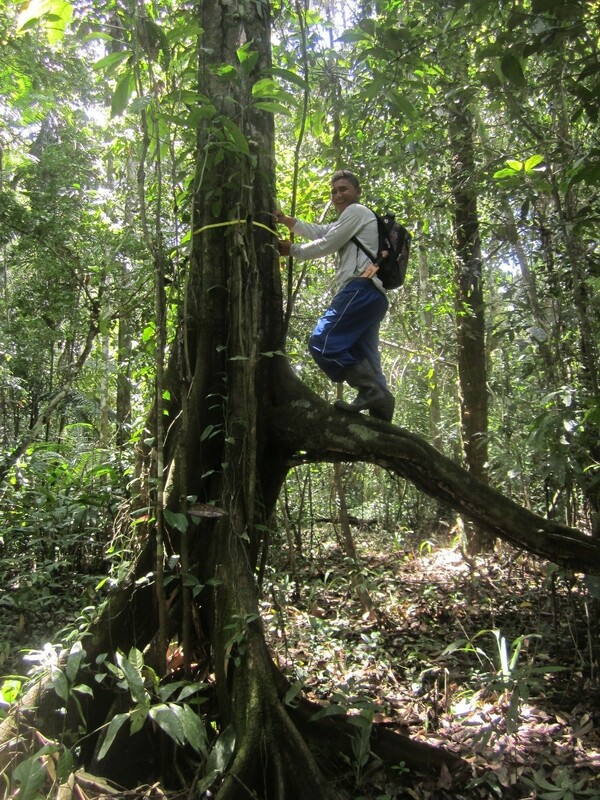 In this picture, taken during the dry season in 2016, Lucas is measuring the diameter at breast height above the adventitious roots of a typical floodplain tree. Once the detailed land cover maps including flooding levels and vegetation cover are ready, we will be able to couple these with in-field inventory data, herbarium identifications, genetic-, and functional traits analyses to do groundbreaking research. By describing important traits of floodplain species, we will be able to model the distributions of these species for an area that until now is completely missing from the map. Thus, my stay with Laura Hess at the Earth Research Institute has provided an exciting opportunity to improve the precision with which we may model species’ distributions, especially considering the floodplains’ high endemism, its many cryptic species, the high species turnover along the flooding gradient, and the varying species compositions along the spectrum of Amazonian floodplain types. Thus, our collaborations will greatly advance the understanding of floodplain biodiversity in general and it carries important implications for both quantifying and assessing floodplain biodiversity patterns and drivers at regional scales. Such information will prove important for achieving effective biodiversity conservation strategies, sustainable development and viable use of forest resources for this part of the Amazon. Hence, I expect our work to have far-reaching consequences within the Amazon biodiversity debate and for conserving one of the world’s most unique and threatened ecosystems. 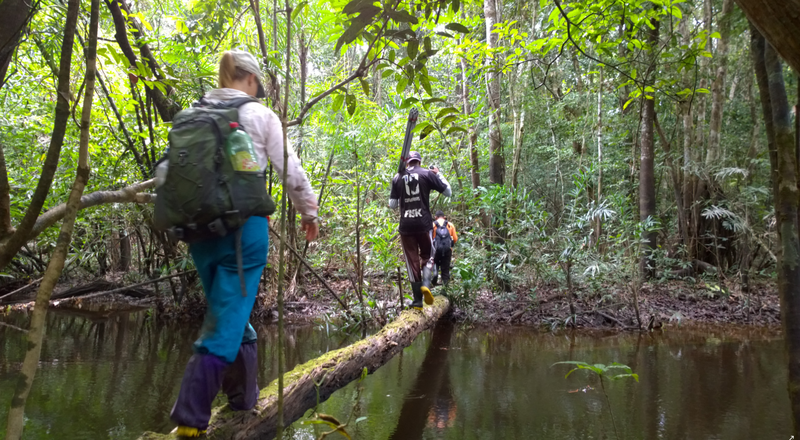 A couple of my field assistants and I crossing a log on our way to one of our inventory plots during the dry season in October 2017. During the high water season, the river we are crossing would be about 2 meters higher and it would only be possible to go here by boat. Do you want to become a member of IRSAE?